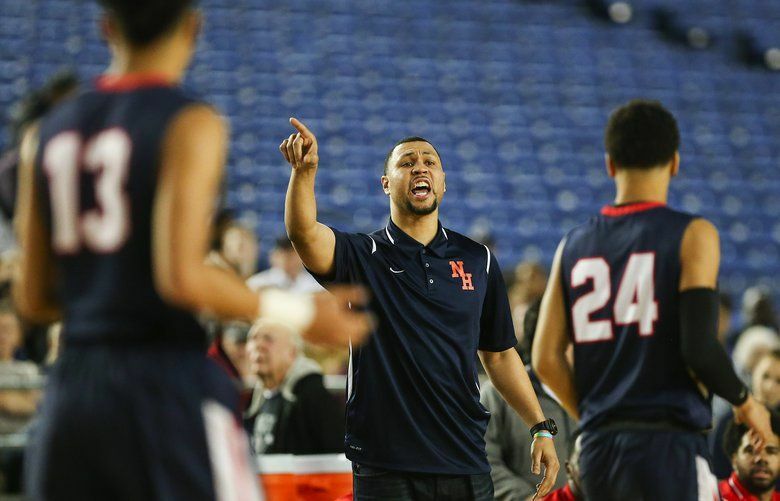 Brandon Roy moved from Nathan Hale to Garfield over the offseason. Brandon Roy's move to his alma mater and a bevy of new players give the Bullodgs the nod to start the season. Gonzaga-bound Anton Watson (6-8 junior) is one of three starters back from last season’s third-place squad. Bombers feature a game-changer in 7 foot 3 Riley Sorn, who helped key run to semifinals in March. Titans fell just short of 2017 title and should be in the thick of things again with three of their top six back. Expect another top-five run for the Vikings, who lost to eventual champs in quarterfinals and finished fourth. Four starters are back for a team that fell one victory shy of taking home a state trophy. First up: Friday vs. San Ramon Valley, Calif. Defending champs lost key players to graduation but have some experience and strong program that deserves a nod. Brandon Roy takes reins of nationally-ranked alma-mater with loaded roster. Vikings already have USC-signee Kevin Porter Jr. and added Lincoln transfer Trevante Anderson, an all-state PG. Deep, defensive-oriented team has enough scoring punch to punch another ticket to state. Abes lost more than Anderson via graduation, but might be even more motivated to improve on 2017 fifth-place finish. With a young roster, Irish took some lumps in ultra-tough Metro League last season, but experience could pay dividends. Panthers came up one win shy of a trophy last season with a roster that included just two seniors. 6-7 Emmitt Matthews Jr. (UConn signee) and solid supporting cast give Rams a chance in any game. Capital, Cleveland, Franklin, Kelso, Mercer Island, Nathan Hale, North Thurston, Shorecrest, West Seattle.